McKENNEY -Tai-O-Mah, a Musquakee brave. McKENNEY, Thomas Loraine / James HALL. - Tai-O-Mah, a Musquakee brave. Tai-O-Mah, a Musquakee brave. - McKENNEY, Thomas Loraine / James HALL. Title : Tai-O-Mah, a Musquakee brave.. 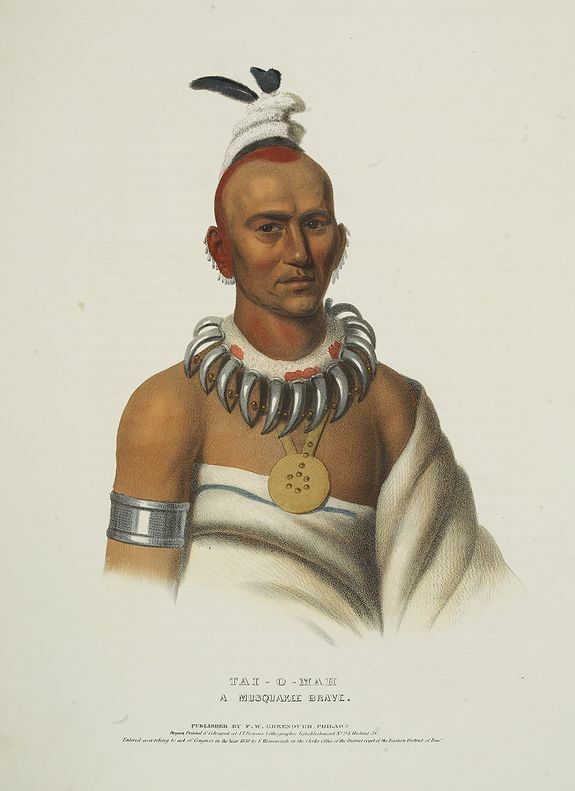 Description :A beautifully defined lithograph of Tai-O-Mah, a Musquakee brave from McKenney & Hall's History of the Indian Tribes, perhaps the most important work ever published on North American Indians.